I had a major piece of good fortune today. Not quite Irish luck for St. Patrick's Day, but Scottish. My wool crazy quilt idea has been living in the back of my mind since I had to abandon it in December. All along I've wanted to include some tartan scraps in the quilt. 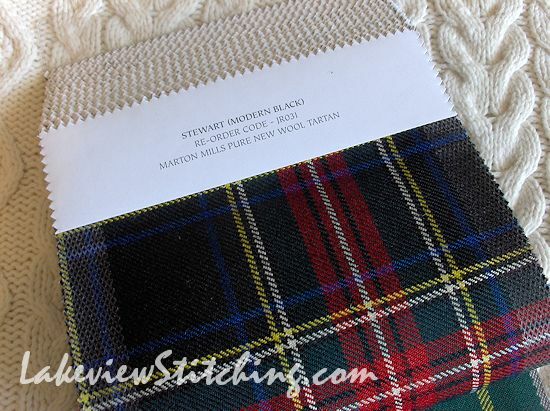 Today I managed to acquire this sample book of authentic Scottish tartans from The Wee Tartan Shop in Port Perry, Ontario. It really was a case of being in the right place at the right time. We were actually driving out of town when I felt strongly that I should turn back. Sample books like this are not offered for retail, but it just happened that they had recently bought a new one, and the owner was in the shop and willing to sell the old one. Who knows, maybe they will see a new business opportunity with quilters! There was quite a bit of tempting jewellery as well, but I spent all my money on the fabric, as usual. So now I am the proud owner of 32 authentic tartan samples, each with about 6.5" square of usable fabric. The quilt pretty much designs itself from here! I am a little disappointed that I won't be doing this project as part of CQJP. Maybe I could beg my way back in, but I think it is clear to everyone (even me) that I tend be deadline-challenged with creative projects. It will probably be best to just work on it as inspiration strikes. And right now I have lots! Lucky girl! I am sure you will enjoy doing it with no deadline. I have some that are a bit mundane that I pull out when inspired to work on them and if it takes 5 years well so be it lol. Sometimes we girls just have to be in the right mood for certain projects lol. Thanks, Katherine. I think I should make a late New Year's resolution to stop commiting to deadlines on creative projects all together! But I also will need some more supplies for this project, my wool stash is a little meagre. What fun - for you creating and stitching and for me and others seeing it emerge. Looking forward to it. Thanks, Jillian. I'm realizing that this is going to be a loooong project, lol. Getting a book of fabric samples from a shop is an inspired idea! I will be very interested to see what you do with these. 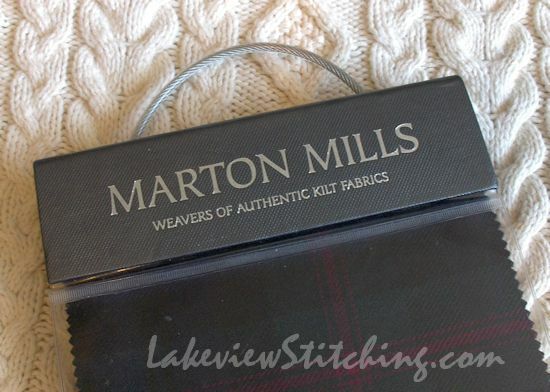 There is a stash of tartan fat quarters in my cupboards that were purchased in Scotland a number of years ago. I have not known what to do with them, so I will follow your ideas with great interest. Well, I asked for a selection of 6" squares, and this is what they happened to have! The challenge now is not to get to serious with them.